Share your story. Read Reviews. I really love this site. Everything has worked well for me so far. I Like the games but especially the promos. Not sure which bingo sites are the best? Well, that’s just why WhichBingo is around. Have no fear, Editor’s Choice is here! Check out this selection of both new and established bingo and slots sites that we think are great places to play and offer good value for money. Every month you will find 12 premium bingo and slots sites that we recommend as worth a visit. If you agree with our verdict after you have picked and played at a site, don’t forget to come back and leave a review saying why it is your choice too! Play with £50 + 50 free spins New players only. 18+. £10+ deposit for 400% bonus up to £100. Withdrawal restrictions apply: wagering 3X (deposit + bonus). Spins on pre-selected games. T&C's apply Please gamble responsibly. Begambleaware.org. Deposit £10, Play £40+30 Spins+Win up to £1k New customers only. 18+. Registration required. Players must deposit and spend £10 cash on bingo. Min £10 deposit. £30 bonus includes £10 Side Games bonus which must be wagered x30 before withdrawal and £20 bingo bonus which must be wagered x3 before withdrawal. Side Games Bonuses can only be spent in the Side Games section of the Slots Page or the Top Slots section in the bingo lobby. Free Spins must be used on specified named slots only and all winnings must be wagered 30x before bonus converts to cash. Bonus expires 7 days after receipt if not used entirely. Promotion ends 23:59 on 14/05/2019. Whack A Bingo T&Cs: Qualify between 10/04/2019 - 29/04/2019. Players who spent £2 cash on bingo or mini games on the previous day and who made a deposit in the last 30 days are eligible to play Whack-A-Bingo Springtime Edition. Only 1 play per day. Prizes may be bingo bonus, all games bonus or cash. No wagering or retrieval restrictions apply to prizes. Full T&Cs apply. Please play responsibly. BeGambleAware.org. Bet £10 & Get £30 Bingo Bonus 18+. New Coral Bingo customers only. Min spend £5 on Bingo tickets to get £25 Bingo Bonus. Min wagering req 2 x Bingo Bonus. Bonus credited automatically. From date of registration players have 30 days to qualify for the Bingo Bonus. Bonus valid for 7 days.Certain countries only. T&Cs apply. Full T&Cs apply. Please gamble responsibly. Begambleaware.org. Up to £350 +175 Bonus Spins * 18+.New players only. Selected slots only. Min deposit £10, Max Bonus £100 + 100 bonus spins on Starburst, 30x wagering (dep+bonus), 30x on spins, 4x conversion. Full T&Cs apply. Please gamble responsibly. Begambleaware.org. Deposit £10, play with £40 New players, 18+. Min dep £10. £40 bingo tix + 10 Spins on Beat the Bobbies, [wins capped at £5, WR: 85x(bonus)]; 6 tix to "£2,500 Real Cash" (real cash wins). 10 tix to "£50 Daily Treat": [WR: (4x bingo bonus)]. Games Bonus wins cap: £400 + the initial bonus amount. Deposit balance can be withdrawn at any time. Wagering restrictions apply.Full T&Cs apply. Up to £120 in Bonuses New Bingo customers only. First deposit/transfer to Bingo of £10 or more qualifies for 200% Bingo Bonus up to £100. 4x wagering requirement. Enter promo code TIKIBONUS and stake £10 on Tiki Paradise Masks of Mayhem for £20 Slots Bonus. Must be used on same game. 20x wagering requirement. Time limits and exclusions apply. 100% up to £300 + 300 Bonus Spins * 18+. New players Only. £10 min deposit. £5 max bet using bonus. 40 x wagering applies. Bonus valid for 14 days. 30 Spins on pre-selected games will be credited per day for 9 days after qualifying deposit/wager is met. Free Spins valid for 72 hours from credit. Max Free Spins winnings £100. Skrill + Neteller excluded. Always refer to Bonus Terms. Full T&Cs Apply. Please gamble responsibly. Begambleaware.org. £50 Free - Deposit £25 Play with £75 18+. 200% Deposit Match up to £25. Min £10 deposit. New players only. 2x wagering. Bonus can only be used on bingo games. Winnings can be withdrawn, bonus cannot. Full T&Cs apply. Spin the Mega Reel Win up to 500 Spins *18+. New Players only. Min deposit £10, £8 max win per 10 spins, max bonus conversion £250, 65x wagering requirements & Full T&C’s Apply. Please gamble responsibly. Begambleaware.org. Our thriving online bingo community have picked the best bingo offers and slot sites for the month. To top this list it takes a lot more than a welcome bonus worth a few pounds or a posh design. Outstanding promotions, fair wagering requirements, exclusive prizes and exciting tournaments are what you’ll find! What Makes WhichBingo the Best? We’re a community of bingo & slot fans, who love and believe in what we do: playing at and reviewing sites and offers in the UK. Considered the top watchdog when it comes to bingo, we’re now taking that experience and belief in complete transparency to bring you the ultimate slot reviews. So whether you’re looking for bonus offers, game portfolios, customer service and mobile gameplay WhichBingo is here for you. Don’t forget to share your stories! Your experiences are the driving force behind WhichBingo, and help other players find a new place to play! WhichBingo Live – Simply WOW! 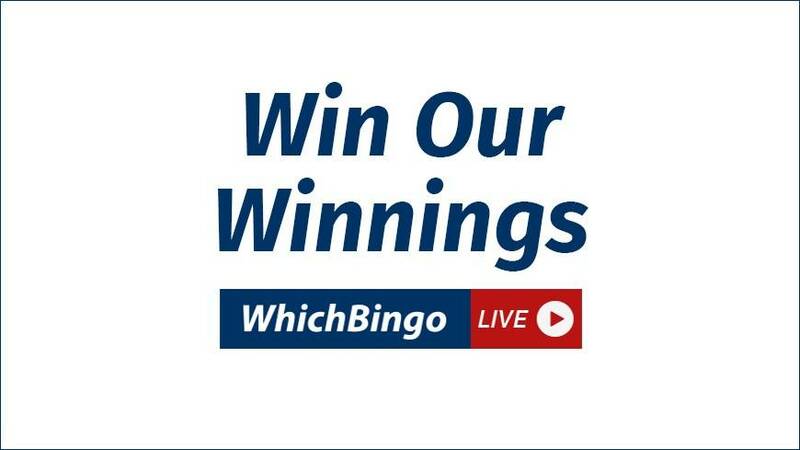 Grab your share of Roger’s winning when you tune in to WhichBingo Live! Tune in on Facebook, Twitch or Twitter to watch Roger play live bingo and slots games on a featured site every month, and you can be the one who takes home Roger’s winnings at the end of the broadcast in the Win Our Winnings competition. We’ll also be giving away exclusive promo codes so make sure you don’t miss out! The WhichBingo Awards motivate bingo sites to go the extra mile for you, the player, and advance the UK bingo industry as a whole! 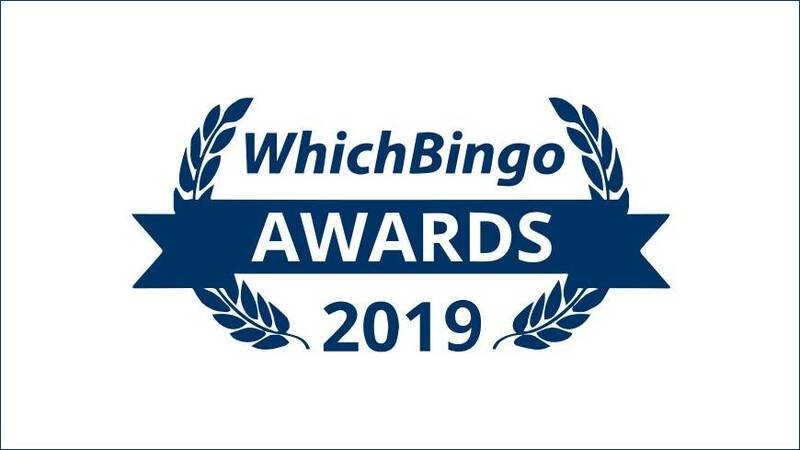 The prestigious and coveted WhichBingo Awards have become the yearly culmination of the UK’s online bingo industry. The ceremony, held in London, celebrates the top bingo sites in the UK, with the winners selected by a panel of independent judges and public voting. Learn more about the latest bingo trends, read our in-depth analysis of the online bingo industry featuring interviews and opinions from leading bingo personalities. These survey- and research-based reports take a look at TV advertising spend, social media activity and predictions for the upcoming year. 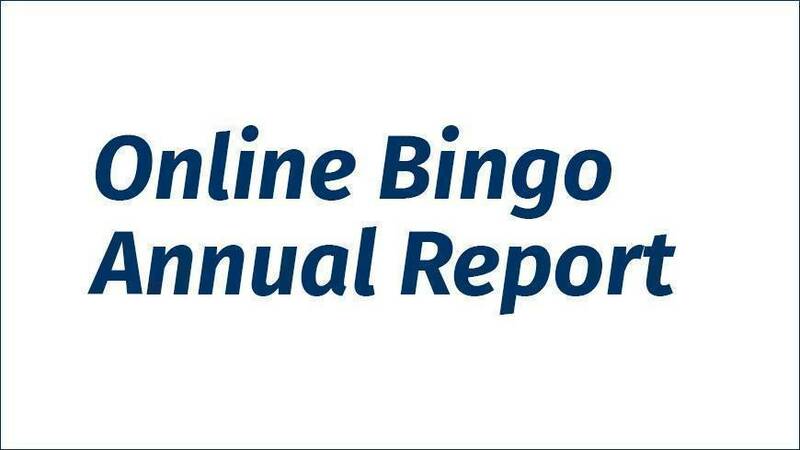 Coming soon… the 2019 Online Bingo Annual Report! The reports are free to download and can be found here. Share your stories to help your friends find a new place to play. Our community is stronger together!